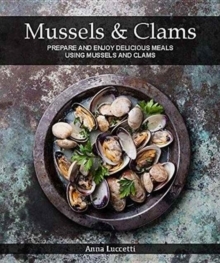 Exercise your creative impulses with this superb collection of mussel and clam recipes. As you delve into these pages, you will be pleasantly surprised by the sensational dishes. The versatility of mussels and clams will amaze you, forever dispelling the myth that cooking seafood should be confined to restaurant chefs. Page after page feature step-by-step instructions to guide your hand and feed your imagination. If you are hosting a dinner party or want to jazz up an everyday lunch, find out how cooking with mussels and clams can be an absolute treat.